Not all destinations are created equal, but that’s why we’re here to help you find the perfect location for your destination wedding. When you begin our planning process our agents typically start with this step. Once you know where you want to go, the rest of the details will fit into place much easier. That’s why in this post we’re breaking down destinations by value. We have many brides reach out, with their hearts set on Turks and Caicos or Hawaii. But once they learn more about the resort options, and more importantly about the high wedding costs, they often find a better-suited destination for their needs and budget. Follow the list below as we analyze all of our destinations and go into further detail about what you can expect in relation to cost, value, and options at each location. 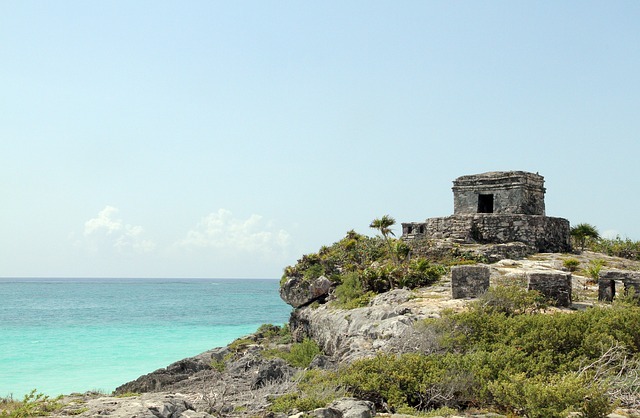 On our destinations page, we give Mexico 5 stars for your value, and it’s easy to see why. There are just so many resort options available across the country, from small boutique hotels to large resorts that can cater to Indian weddings or whatever else your heart desires. There is also a variety of landscapes to explore too, from the jungles of the Riviera Maya to the world-famous beaches of Cancun, and even the rugged and desert-like settings of Puerto Vallarta and Los Cabos. Just about every vision you have for a destination wedding can be achieved in Mexico, as the two coasts provide completely different atmospheres, both special in their own ways. Not only that but you’ll save a ton of money too, in comparison to stateside weddings and even amongst the smaller Caribbean islands. Room rates are very competitive and affordable due to the high number of resorts available, and wedding departments are highly efficient. The central locations have a large number of flight routes available too, meaning economical flight rates and better itinerary schedules for you and your guests. Mexico is the perfect choice for finding a resort that will please your guests while also fitting in all of your needs for your wedding. A tranquil scene from Jamaica. 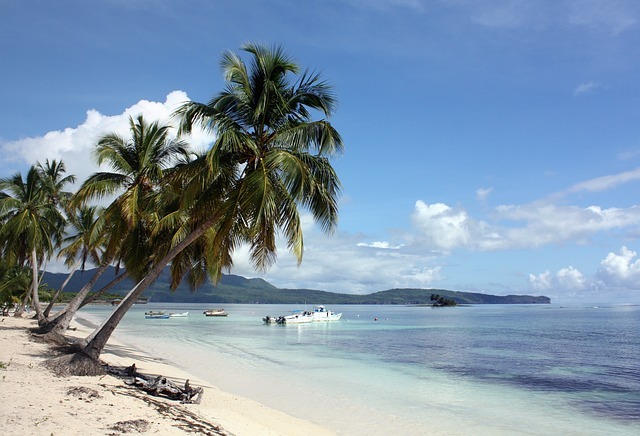 Next in place for both value and location are two of the larger Caribbean islands, the Dominican Republic and Jamaica. Both have a huge array of splendid resorts that can grant your every wish for a destination wedding. They both have some of the most beautiful beaches in the world too, like 7-mile beach in Negril, Jamaica or Bavaro Beach in Punta Cana, Dominican Republic. Flight rates are great too, especially if traveling from the southern states or the middle of the USA, with plenty of nonstop options available. A great tip for both countries is to check for tiered resorts. 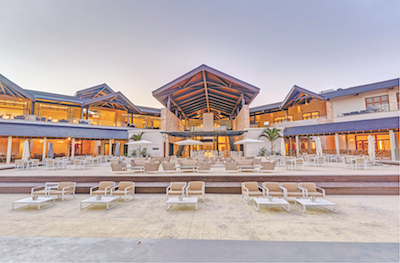 What this means is many of our most popular brands have created multi-resort complexes where guests can choose a resort that fits their wants and budgets. 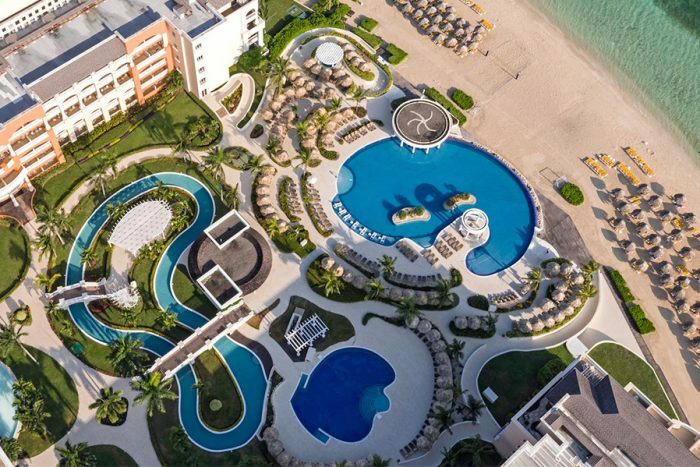 Take the Iberostar collection of resorts in Rose Hall as an example. 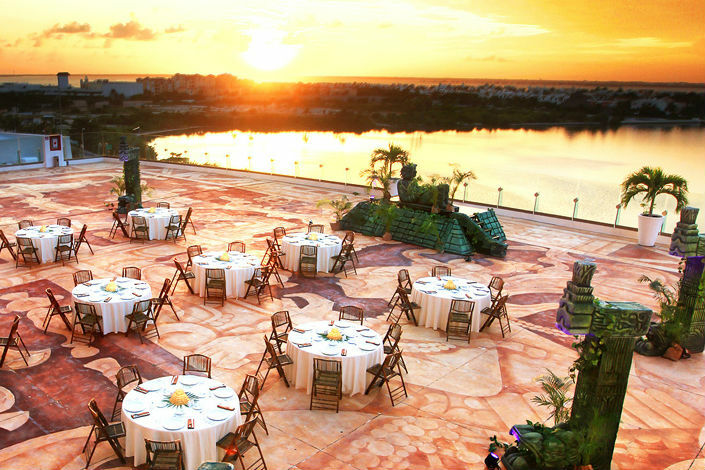 Guests who want luxury could stay at Iberostar Grand Hotel Rose Hall while families could stay at Iberostar Rose Hall Suites, and everyone could attend your beautiful beach ceremony. Look at major resort area hubs for the best prices, like Punta Cana or Montego Bay. A beach in Costa Rica. Interest in Costa Rica is growing steadily, and that trend is only going to increase in 2019. It’s a true nature-lovers destination, with plentiful opportunities to explore the rainforests, hit the dark sandy beaches, or even visit volcanoes. More hotels are coming too, take the recently opened Planet Hollywood Costa Rica as an example. 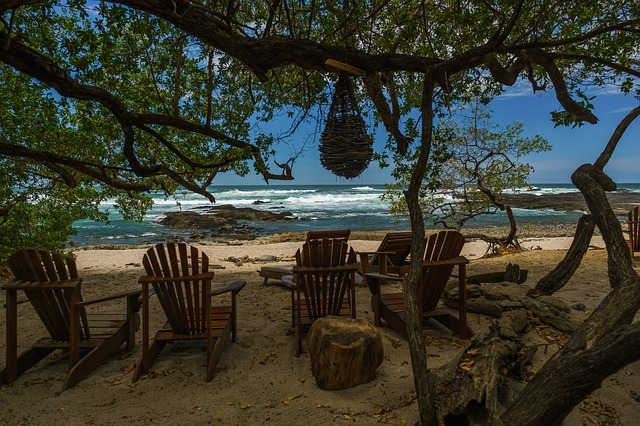 When choosing Costa Rica for your destination wedding you should consider two major areas, Guanacaste and Papagayo, both along the Pacific coast. 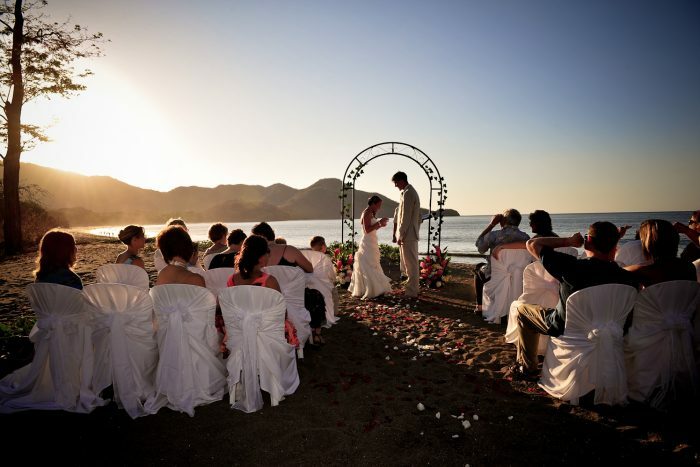 You can find some wonderful wedding packages at the resorts we offer, like Dreams Las Mareas or RIU Guanacaste. But there should be some other factors associated with costs too. Flight times could be longer from your departure location, and flight costs could be higher. Typically guests want to take part in excursions or tours while visiting Costa Rica, which could also add up quickly. The colorful shopfronts of Willemstad in Curacao. As we mentioned earlier many brides reach out to us wanting their dream wedding in Turks and Caicos or the Bahamas. These are some of the signature islands of the Caribbean, and undoubtedly some of the most beautiful places in the world. But, you should also take note, they also offer much more complicated flight routes and costs, along with far fewer resort options. If the budget isn’t as much of a concern then perhaps hosting your wedding at Royalton Saint Lucia or Sonesta Maho Beach Resort would be best suited for you. However, you should remember to keep your guest’s budgets in mind also, as they may not be able to afford these destinations themselves. It’s true that you can find wedding packages across the chain of smaller Caribbean Islands that are similarly priced to Mexico or Jamaica, but there are other factors you have to consider in addition to these costs. You must take into account the extended travel time required to get to these destinations. The more remote and smaller your island, the more connecting flights it may take to reach your final destination. The resorts are often smaller too, with limited availability, so we highly encourage your guests to book further in advance. 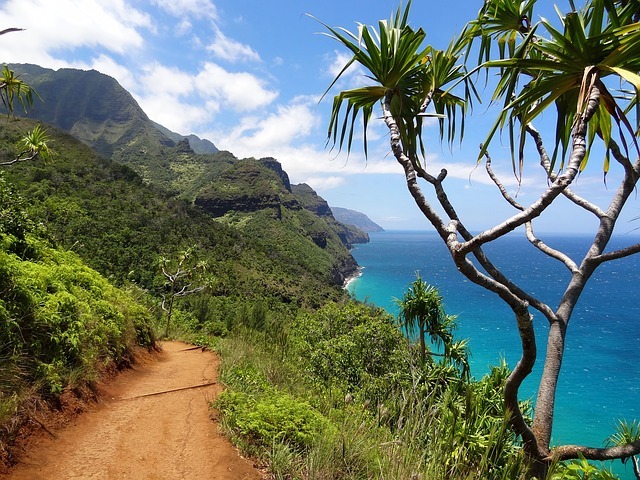 A hiking trail in Hawaii. As destination weddings grow in popularity, Hawaii is becoming a hot destination, one of the main reasons being that guests do not need a passport in order to travel there. The varied islands provide unforgettable landscapes, from ashen beaches to soaring mountains and volcanoes. There are remote tropical areas and major urban sprawls to explore. But it’s important to note that wedding costs in Hawaii are much more comparable for local weddings in the US. 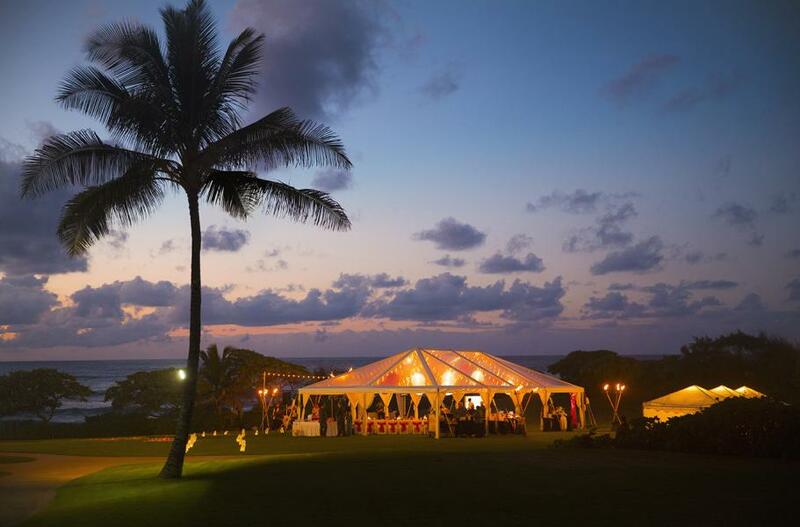 Here are The Knot’s Estimated Costs for a Hawaii destination wedding: Venue: $12,346 Event Planner: $2,785 Photographer: $2,604 Flowers & Decor: $2191 Wedding Cake: $452 Wedding Gown: $1,101 Music: $1,101 By utilizing a hotel with wedding packages you could likely find a ceremony package for way under $12,000 honestly. However, many Hawaiian wedding packages only account for the cost of the ceremony, and private receptions are separate inquiries. You may find decent hotel rates per night, but unlike our all-inclusive resorts across the Caribbean, food and drinks are not included and can be very pricey. It’s much harder to calculate your costs upfront when booking your destination wedding in Hawaii, for both you and your guests. Of course, it goes without saying that prices fluctuate throughout a given year for all of our destinations. Around the Holidays resorts may offer huge sales on inventory, and the same goes for flight rates, which can be super cheap when booking far in advance. Considering a destination wedding but not sure where to go? Try out Destination Wedding Quiz to get a recommendation instantly, and our agents are always one call away to help you get started.